In line with its commitment to the exploration and preservation of the oceans, Blancpain has supported the World Ocean Summit since its first edition in 2012. The 5th Summit is taking place from March 7th to 9th 2018 at the Riviera Maya in Mexico and marks the beginning of a new phase in the cooperation between the watch Manufacture and The Economist. This prestigious international conference is indeed taking on a new dimension this year with the launch of the World Ocean Initiative. As the founding partner, Blancpain is proud to broaden its contribution to this project which reflects its core values: long-term vision, optimism and innovation. 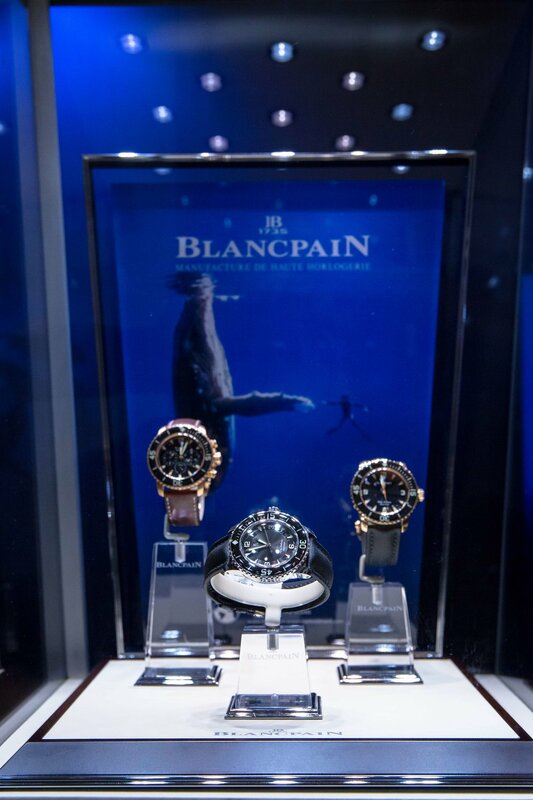 Given its involvement in protecting the oceans, Blancpain is particularly delighted with the choice of Mexico as the host country for the Summit. In fact, an expedition supported by the brand encouraged the recent decision made by the Mexican government to create the largest marine protected area in North America, in the Revillagigedo Archipelago. Extending over some 148,000 km2, this new reserve will contribute to the protection of the hundreds of species that inhabit or pass through this archipelago, which consists of four volcanic islands.